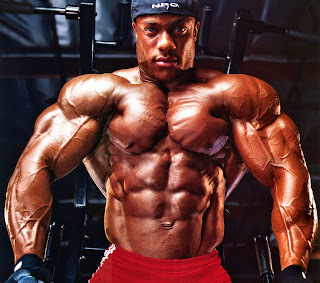 Phillip "The Gift" Heath (born December 18, 1979 in Seattle, Washington) is an American IFBB professional bodybuilder and current Mr. Olympia. 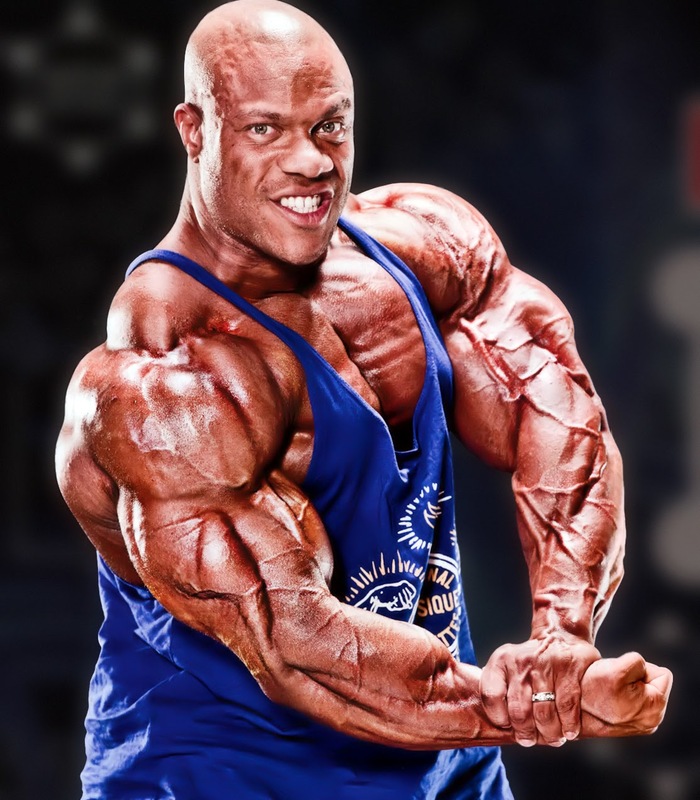 Phil Heath grew up in Seattle, Washington, and attended Rainier Beach High School, where he played shooting guard on the varsity basketball team. Heath attended the University of Denver in Colorado on a full athletic scholarship. While at Denver, Heath double-majored in IT and Business Administration and played shooting guard for Denver's Division I basketball team. 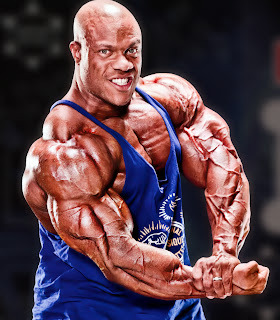 Phil Heath entered bodybuilding in 2002. In 2005 he won the overall title at the NPC (National Physique Committee) USA Championships, earning the right to compete as an IFBB Pro. He won his first two IFBB professional events the following year: The Colorado Pro Championships and The New York Pro Championship. In 2007, Heath placed fifth at the Lourens Classic. Although he still qualified to compete in the 2007 Mr. Olympia contest, Heath, nevertheless, decided not to enter the contest, stating that he needed additional time to improve his form. Heath then won the 2008 Iron Man show and placed second to Dexter Jackson at the 2008 Arnold Classic. In his 2008 Mr. Olympia debut, Heath finished third, becoming the first novice to place in the top three since Flex Wheeler in 1993. 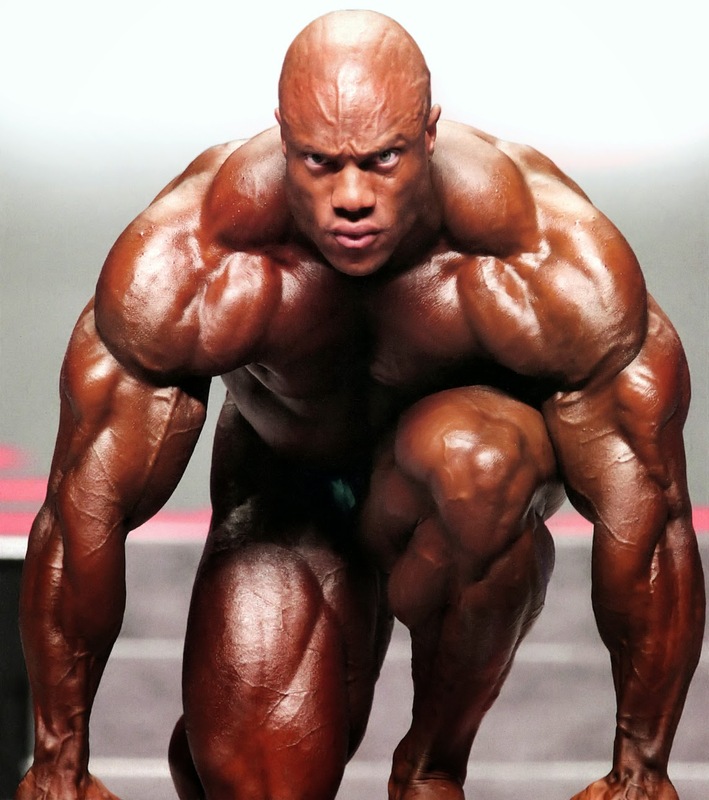 He was a favorite for the 2009 Mr. Olympia title, but a stomach virus caused him to arrive 6 lbs lighter than planned on the first day, and this resulted in his taking fifth place in the competition. In 2010, he took second place at the Mr. Olympia contest when Jay Cutler won his final title, but after improving the following year Heath defeated Cutler and became Mr. Olympia for 2011. In both 2012 and this year's Mr Olympia, Heath successfully defended his Mr. Olympia title against Kai Greene. Heath has been featured in many fitness and magazine articles, and has also appeared on the cover of FLEX magazine. Heath resides in Arvada, Colorado and trains at Armbrust Pro Gym in Wheat Ridge, Colorado. Heath has released four bodybuilding DVDs: "The Gift", "The Gift Unwrapped", "Journey to the Olympia" and Becoming the Number 13. The latter three films were directed by Jonathan McFarlane and released by Bodybranded Films.